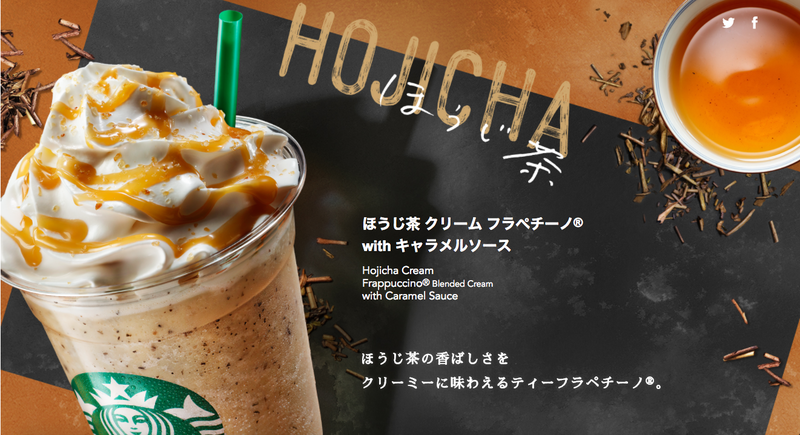 Today, September 15, 2017, Starbucks Japan launched Hojicha Cream Frappuccino with Caramel Sauce and it's available only until October 1, so it'll be sold for about 2 weeks. Hojicha (ほうじ茶) is a type of green tea and they roast tea leave till they get dark reddish brown to create the deep and fragrant flavor. 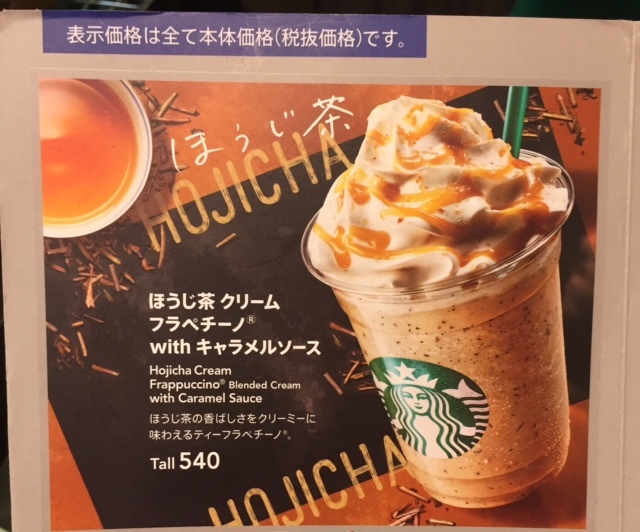 This Frappuccino is made with 5 varieties of Hojicha; Sencha Hojicha, Kuki Hojicha, Gyokuro Hojicha, Kabuse Hojicha and Mijin Hojicha. 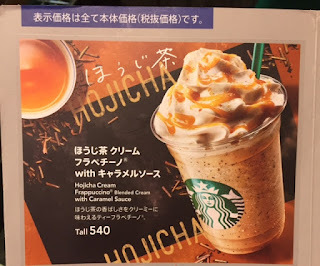 I arrived at Haneda airport via ANA and had enough time to spare till the international flight, and I took a free shuttle bus to Terminal 1, then came up to the Starbucks on the 3rd floor. Starbucks in Terminal 1 didn't have loud advertisement on the side I came up via escalator but there's a large banner. The base is iced Hojicha with white mocha syrup, milk and ice, then it's topped with whipped cream, caramel sauce and brown sugar. It's paler and more white than the image shown, and it looked like Cookie & Cream. As you can see, in Japan, they don't ask your name but tend to write some note. Today, I got "Thank you!" 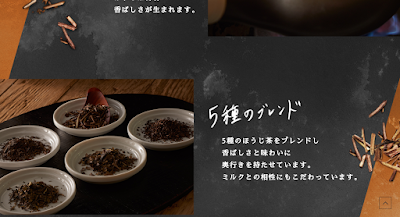 with a smile face with colons over "U." After squeezing the pale colored caramel sauce, they sprinkled brown sugar to finish. 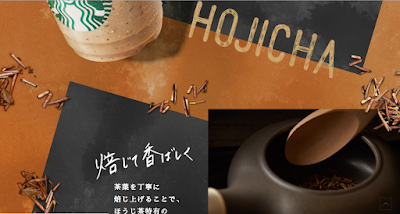 When I had a sip, fragrant Hojicha scent occupied my mouth and it's mixed with sweet caramel and very good. 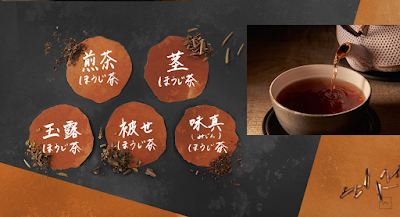 It had deeper flavor than English tea, and I would describe this as "less bitter milk tea." It's much deeper and richer in Hojicha flavor than I had imagined, and it's because they put actual Hojicha tea leaves in the beverage. It's not too rich, yet packed in flavor with refreshing finish, and it's a really pleasant milk tea.